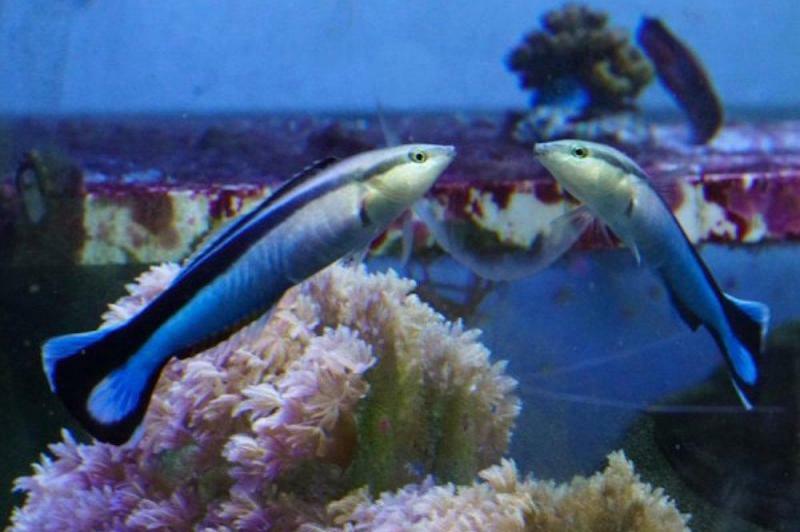 Feb. 8 (UPI) — The cleaner wrasse, Labroides dimidiatus, a small saltwater fish, can recognize itself in the mirror. When scientists present the colorful reef fish with a reflection of itself, the fish attempts to remove marks on its body, the most common tests for identifying self-awareness among animals. The research was conducted scientists at the Max Planck Institute for Ornithology in Germany and Osaka City University in Japan. The results were published this week in the journal PLOS Biology. Authors of the new study acknowledge that the reaction to their findings will depend largely on how one interprets the legitimacy or significance of the mirror test. Cleaner wrasse is the most famous of the cleaner fish. The species cleans external parasites from the bodies of larger cleaner fish. In the lab, scientists placed a colorful marking on the fish that could only be seen in a mirror. When placed in front of the mirror, the fish tried to clean off the marking. Unmarked fish didn’t attempt to remove markings from themselves when interacting with marked fish. The fish also declined to remove marks placed directly on the mirror. In an accompanying review, commissioned by the study’s authors, Frans de Waal, an expert primatologist at Emory University, offered a critique of the mirror test and binary interpretation of self-awareness.